Has undergone an extensive interior and exterior renovation over the past two years. 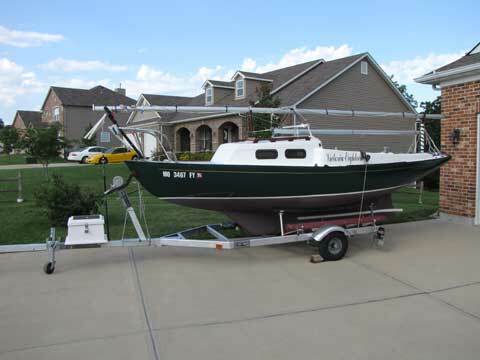 Hunter green hull and white deck. 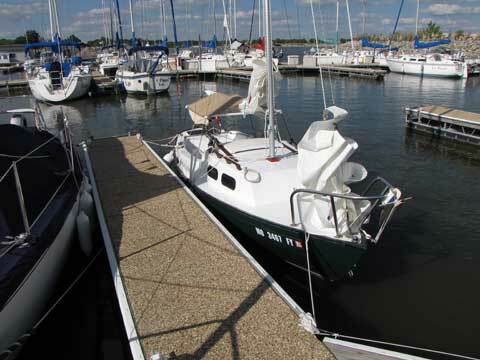 In 2011 deck and topsides painted with 2 coats (3 for hull) of Interlux Perfection 2 Step Polyurethane; after 2 coats of 2 Step Primecoat epoxy primer. 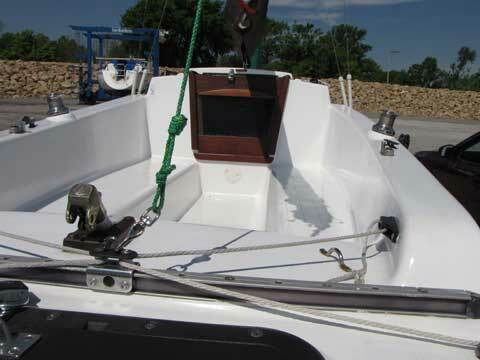 Original bottom paint removed by sanding and painted with VC Offshore (Baltoplate). "V" logo and correct hull number. 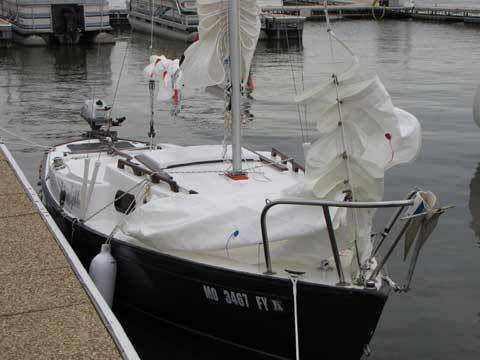 Replaced entire electrical system with marine grade wiring including new interior and exterior lights (Perko OEM lights on exterior and interior has LED); also has small 18 Ah AGM battery in lazarette. Interior painted with 1 step polyurethane. Added new backing plates to motor mount (original Spartan bronze mount) and stern cleats. 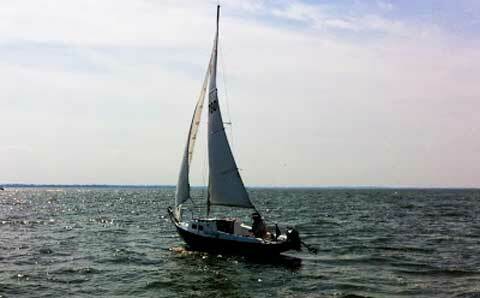 Green zippered Sunbrella sock cover (105 genoa still has hanks and jib halyard blocks on mast. New Dwyer Mast and Boom in 2013. In 2012 trailer reconditioned. Tires were new in 2009. Also included are the original 1981 main and job. 135 rainbow colored Johnson genoa with wire luff and hanks (in good shape). Standing rigging in very good condition. (also includes stainless steel topping lift). Original 1981 Magic Tilt Trailer. 2011 Honda 4 stroke, 2 hp long shaft motor. Like new condition.